IWAI Kildare cannot guarantee the accuracy or completeness of any information on this site. 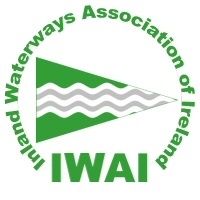 Any work contributed to the IWAI website by an individual becomes IWAI property unless otherwise noted. Photographs may contain a © IWAI or © IWAI Kildare mark, but the copyright remains with the photographer. Photographers grant a right to use contributed photos to promote IWAI’s aims and be distributed with IWAI’s products and other output. We may at times upload images to our website without the contributor or photographer’s initials in the image name. We may at times acknowledge a collection of images given to us by a contributor and assume right to use as above. We will strive to ensure that any photograph loaded to the site is deemed to be in good taste and does not cause embarrassment. If anyone feels strongly against a particular photograph of them being shown on the site, we will remove it. We may crop an image or edit an article to fit a web page; all images will be compressed to a web format. The IWAI accept no liability for any loss or damage arising as a result of use of or reliance on information contained on these web pages, and is not responsible for the contents of personal web pages, nor for the accuracy or integrity of material accessed via links from these pages. The content of this site is monitored with the greatest possible care; however, IWAI makes no claim for the accuracy or completeness of the content. Usage of the content of the website is at the users own risk.